What does a hibernating brain look like? A common predicament for artists in all fields is crafting the initial idea. As a writer, when I attempt to write my introductory paragraph – the lede, as it’s known in the business – I’ll often hit several mental walls and feel too discouraged to keep working. At this point, I decide to take a break and perhaps enjoy a nap. In that small window between wakefulness and sleep, I always find some ideas and solutions taking shape. The light bulb flickers on for a few brief moments, and if I muster the energy to get out of bed, I find myself quickly scrawling the beginnings of a solution to some problem I’ve been pondering, or some creative spark that leads to a brave new idea. The strange threshold that’s not quite dreaming and not quite wakefulness often acts as the best inspiration for my writing. It’s called hypnagogia: the transitional state of consciousness between wakefulness and falling sleep, and conversely, between sleep and wakefulness. Hypnagogia is quite brief for most people – anywhere from a few moments to a few minutes, depending on the individual’s own sleeping habits – but can be experienced as anything from vague sensory firings to vivid hallucinations. “In general, one tends to feel dream-like visuals and sounds, even though he or she is not yet dreaming,” says Sirley Marques-Bonham, a researcher on consciousness from the University of Texas at Austin. Many psychologists and philosophers throughout the 19th century pondered hypnagogia as a source of creativity (although back then there was no such term to define it). But it wasn’t until the latter half of the 20th century, when psychologists quickly became fascinated by altered states of consciousness, that hypnagogia was studied as a matter of scientific inquiry. In 1983, psychologist Andreas Mavromatis wrote his doctoral thesis on hypnagogia, providing the first seminal work that defined the phenomenon and explained how it worked, spurring a resurgent interest in hypnagogia’s creative potential. In today’s fast-paced world of innovation, more and more people in every industry are turning to altered states of consciousness such as hypnagogia to foster creative thinking as a way to ensure constant innovation, even if it still has yet to become a widely-researched subject. Creative minds have used hypnagogia as a source of inspiration for centuries. 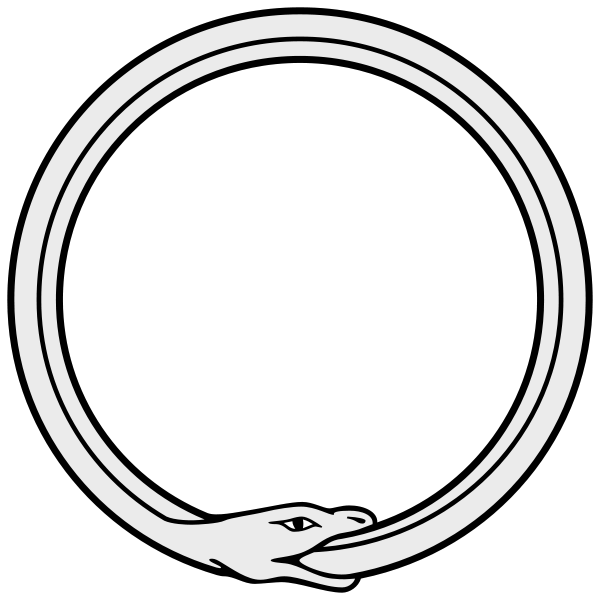 When the 19th century chemist Friedrich August Kekule struggled to imagine the structure of the chemical compound benzene, he felt himself dozing off and suddenly visualized the classic ouroboros (an ancient symbol depicting a serpent or dragon eating its own tail) as a series of molecules made out of snakes, each one swallowing the tail of the next snake. The dream inspired him to imagine what the six-membered ring of carbon atoms looked like. Mary Shelley’s “Frankenstein” was born out of what she said was a “waking dream” she had while falling asleep. She envisioned a “pale student of unhallowed arts kneeling beside the thing he had put together.” When he was stuck on a problem, the inventor Thomas Edison frequently used hypnagogia to inspire progress: he would hold a set of heavy metallic balls as he napped in a chair, and as his palms relaxed and the balls noisily crashed to floor, Edison would wake up with a solution at hand. Salvador Dali, the famous surrealist painter, claims many of his works, such as “Dream, Caused by the Flight of a Bee (Around a Pomegranate, a Second Before Waking Up)” were formed out of images he saw during hypnagogia. At any given moment, an individual’s brain is emitting different types of electrical patterns depending on the type of conscious state he or she is experiencing during the wake-sleep-dream cycle. During wakeful behavior, one emits beta waves, characterized by active thinking and attentive focus, which can also lead to feelings of stress and anxiety. Alpha waves, by contrast, are emitted during intense states of relaxation, and theta waves are characterized by drowsiness and the onset of REM sleep. Hypnagogia is marked by a high level of both alpha and theta brainwaves. As we begin to fall asleep, the brain moves from a prevalence of relaxing alpha waves to drowsy theta waves, but this fluctuation means that no single type of brain wave is dominant during hypnagogia. This synergy in neural activity causes a state of threshold consciousness, where an individual feels “half-asleep” or “half-awake,” and is making the transition from wakefulness towards sleep. These experiences are sometimes known as “hypnagogic hallucinations.” Though rarely pathological, they can sometimes veer off into more extreme types of sensations, such as the feeling of floating. About one-fourth of all individuals experience these hypnagogic hallucinations, says Maurice Ohayon, a clinical psychologist at Stanford Medical School who studies sleep and psychiatric disorders. So what does hypnagogia have to do with creativity? During hypnagogia, says Barrett, the prefrontal areas of the brain are less active. The lack of beta waves combined with this decrease in prefrontal activity creates less censorship from the mind, she believes, and more freely allows intense sounds and imagery to be imagined by the individual. Consciousness researcher Marques-Bonham attributes this phenomenon to the subconscious mind. It would be too stressful for the conscious mind to focus at once on every sensory detail or task at hand, so the subconscious mind works to process many things on a kind of autopilot. It most noticeably manifests itself through the sleep-dream cycle. “If you’re working on a problem or a creative process like painting or writing, you’re sure to run into obstacles,” says Marques-Bonham. At this point, the subconscious begins a process she calls “the brewing,” in which ideas are developed that are not yet realized by the conscious mind. “Hypnagogia is the shortest path for communication from our subconscious,” says Marques-Bonham. “Your subconscious mind might send you solutions through imagery or other sensations.” She likens this to an “aha!” moment, like Archimedes’ famed “Eureka!” realization. Both Barrett and Krippner believe that an active attempt to “incubate” thoughts when falling asleep allows for solutions and creative ideas to be realized during hypnagogia. Basically, you keep a subtle but concentrated thought on a problem while relaxing enough to allow oneself to drift out of consciousness. The hypnagogic state that follows should be more likely to manifest creative thoughts that attempt to solve the problem. Barrett herself conducted a series of studies in the 1990s that tested this method, where she instructed student participants to think about problems in a particular homework assignment. A majority of them believed to have found a solution in their dreams, which she believes supports the validity of this process. Marques-Bonham notes that intense forms of meditation and some kinds of hallucinogenic drugs have long been thought capable of producing the kinds of visions and sensations experienced in hypnagogia, and some studies show that individuals under such conditions exhibit similar brainwave patterns. Most intriguing, perhaps, is how hypnagogia could be altered by new electroencephalography technology, which use electrodes to measure brainwave activity. Practices such as brainwave entrainment use distinct aural tones to produce specific brainwave frequencies in an individual – and therefore, artificially induce hypnagogia. One could then attempt to essentially force a creative idea or solution to a problem that would otherwise be unrealized. Psychologist John Gruzelier at the University of London claimed in a 2008 study to have promoted creative dance performances by inducing alpha-theta brainwaves in dancers. However, this area of research is still many decades away from realistic application, and no researchers – including Gruzelier himself – have yet to pursue follow-up studies. Krippner is quick to emphasize that using hypnagogia to promote creativity requires an individual to define creativity itself. He personally believes creativity has two different aspects: “It’s bringing something new for the world, be it globally, a small community, or even just an individual’s own world; and it has to be useful in some capacity.” In other words, there must be a utilitarian aspect to those creative thoughts, or else they are simply just random firings of the brain; mysterious and exciting to talk to about, but ultimately of no consequence. Although hypnagogia remains a small field of research, there is a very extensive network of resources that promote its use for inciting creative ideas. A Google search for “hypnagogia and creativity” yields about 7,300 results, many of which discuss anecdotal methods for Barrett’s method of creative incubation. There are testimonies by businessmen, artists and laborers from around the world. With the rapid-fire flow of ideas in today’s world, the race to increase creative output requires us to go about it in more creative ways, and whether the scientific community intends to carve out a bigger role in this race remains to be seen. “A hypnopompic state (or hypnopomp) is the state of consciousness leading out of sleep, a term coined by the psychical researcher Frederic Myers. Its mirror is the hypnagogic state at sleep onset; though often conflated, the two states are not identical. The hypnagogic state is rational waking cognition trying to make sense of non-linear images and associations; the hypnopompic state is emotional and credulous dreaming cognition trying to make sense of real world stolidity. They have a different phenomenological character. Depressed frontal lobe function in the first few minutes after waking – known as “sleep inertia” – causes slowed reaction time and impaired short-term memory. Sleepers often wake confused, or speak without making sense, a phenomenon the psychologist Peter McKeller calls “hypnopompic speech”. When the awakening occurs out of rapid eye movement (REM) sleep, in which most dreams occur, the hypnopompic state is sometimes accompanied by lingering vivid imagery. Some of the creative insights attributed to dreams actually happen in this moment of awakening from REM. In Deirdre Barrett’s The Committee of Sleep, Margie Profet’s McArthur-award winning biology experiment is shown to be one of these.”These terms were freely used .Mavromatis(1983) was by no means the first to write seminal work on the subject,Krippner could have told you that.I studied consciousness with Colin Martindale at the Univ.of Maine in 1971 and he was espousing most of what was revealed in the article.Later with Krippner himself for my undergraduate degree in Parapsychology at Sonoma State Univ.in 1977. There are a whole host of ancient techniques from the mystery schools that train creative problem solving in sleep.One of the most effective is from Silva Mind Control,often described as a form of self hypnosis.The hypnagogic and hypno pompic states are where I get my most creative ideas ,now for metal sculpture.And my problem solving in this regard is for BEAUTY in sculpture,how to render complex emotional concepts in simple physical forms,and though they are non utilitarian as Stanley says ,I would argue that they are fully invested with consequence. I look forward to hypnagogia–moving along mountain ridges, trails, or streams. Along streets or aerial views of cities. Nearly always moving. And who are these people? Almost always of an early period, usually nobles of several hundred years back who don’t move but change in age, features, and tend to turn freakish or monstrous. Hypnopompia. I’m not always sure if I’m awake or asleep, or if images came from a remembered dream or from awakening. People look at me funny when I’m telling of getting a 7-diget number and the image or thought of the 20th Century Fox logo. After investigating, I found the number to be that of a woman I didn’t know named Fox who died on the same weekend, possibly right at the moment, that I had the images. I don’t consider myself psychic, but the event has left me open-minded.